“Images of Ecuador’s ambassador inviting the UK’s secret police into the embassy to drag a publisher of – like it or not – award-winning journalism out of the building are going to end up in the history books. Assange’s critics may cheer, but this is a dark moment for press freedom,” Snowden wrote in a Twitter post on Thursday. WikiLeaks founder Julian Assange was arrested by Metropolitan Police at Ecuador’s Embassy in London on April 11. Earlier in the day, Ecuador decided to deny asylum to Assange. 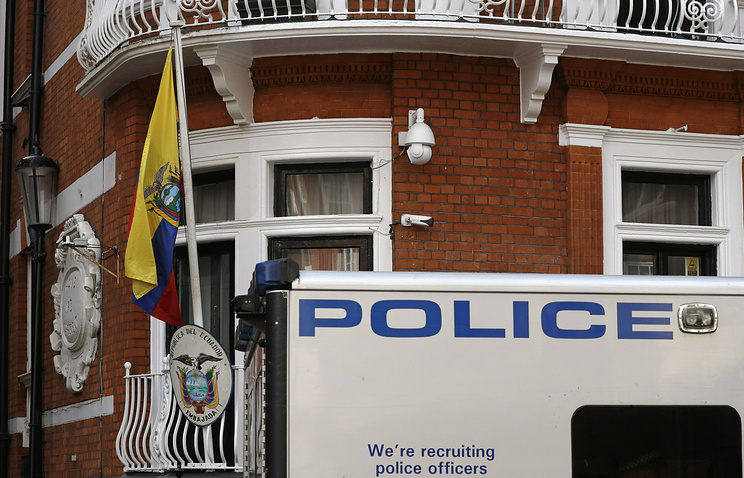 The British police arrived at the diplomatic mission at the invitation of the Ecuadorian ambassador. In 2013, Snowden made public information about US intelligence services’ surveillance techniques, including eavesdropping on foreign leaders’ conversations. Fleeing persecution by the US authorities, Snowden sent asylum requests to more than 20 countries. On August 1, 2014, he received a three-year residence permit in Russia, which was later extended for the same period of time. Hey Buddy!, I found this information for you: "Snowden calls Assange’s arrest ‘dark moment for press freedom’". Here is the website link: https://russophile.org/snowden-calls-assanges-arrest-dark-moment-for-press-freedom/. Thank you.